When it comes to Old Delhi, the reigning factor is food. And if you step in to Chadni Chowk, you simply cannot do without shopping and eating. Eating is one of the main attractions of the alleys of Chandni Chowk. First of all the moment you step in to this area you will be spoilt for choices when it comes to food. And when we say food in Chandni Chowk, we mean street food or food from street side shops. None of them are of fancy appearances, quite shabby actually to look at, but if once you taste the food you will never be able to forget it! Karim Hotel: Ranked as one of the best restaurants in South East Asia, this is a culinary experience that you would never want to miss out on. Its establishment goes way back to the 1913s, when it was set up by Haji Karimuddin. The original menu included a simple non vegetarian experience of Daal, Alu gosht and Rumali roti. 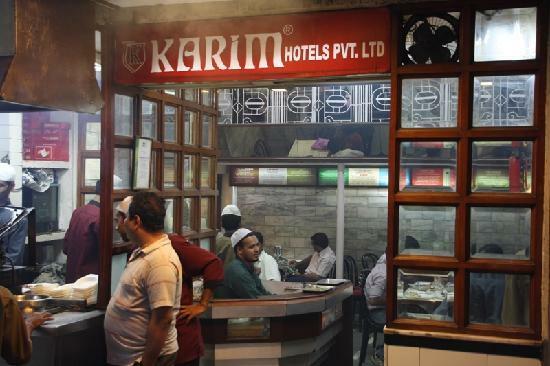 Karim’s fame grew thanks to the deliciousness of the platter that he served and today it is one of the most famous restaurants in Delhi. Today you would probably have to wait in a queue to get access into Karim but trust us it would be completely worth the wait. 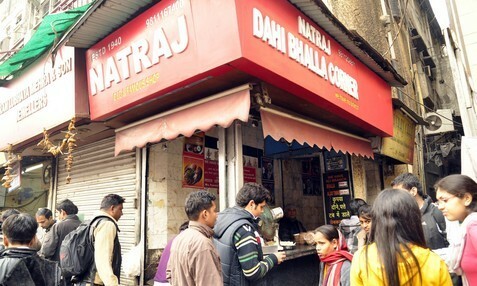 Natraj Dahi Bhalle Wala: Delhi food experience is never complete without vegetarian street food and in order to try that out you need to visit this vendor at least one. The food is really cheap and it is way tastier than it costs! It was set up, prior to independence in 1940 and is famous for its Dahi Bhalla. It costs roughly 80 bucks, so give this is a try! Jalebi Wala: How can a hearty meal be complete without a desert? No matter how much vegetarian or non-vegetarian main courses you have had, do try out at least a few types of sweetmeats, just to get an idea of how heavenly sweets can actually be. You have to try out jalebis! 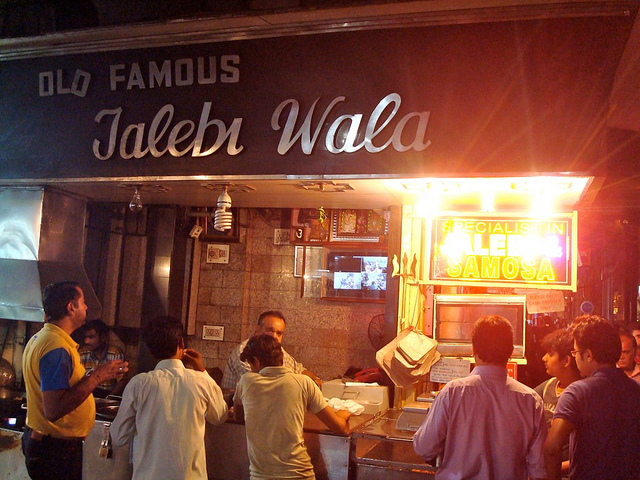 Look for the oldest jalebi shop and try them out. These deep fried sweet meats cooked in pure desi ghee are a treat that you would not want to miss. Giani: Another type of sweetmeat that you would want to try out is rabri-falooda. Giani also has a wide range of halwas and to top it off you can try out flavoured milk. This is a highly recommended eatery mainly because of its quality and unmatched prices. 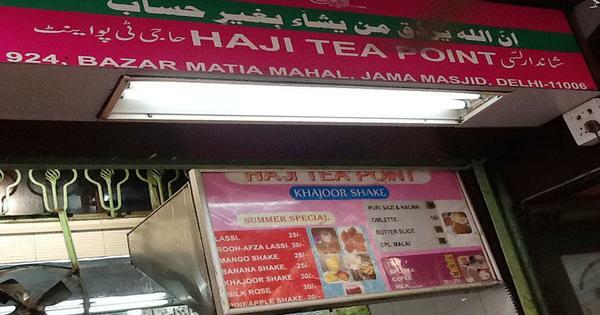 Haji Tea Point: For your evening snack you can try out the poori, alu sabzi and halwa at Haji’s tea point and a steaming cup of tea to go with it. If you want you can also have this mouth watering combo for breakfast as well. Can you guess how much a plate of all this delicacies cost? Just 50 bucks! Pocket friendly, plus delicious! What more could you ask for? Now that you know about some of the best places to eat in Chandni Chowk, do give them a shot. We would suggest that you try all of them out, but not in a single day (of course)! New Year Travel Plan – Places To Explore!